Hopefully, this information will help you to discover new features and tricks that will improve your Trados Studio migration and translation experience. And for those of you who have not yet decided to upgrade, maybe this will help you to make up your mind… one way or the other. I promised last week at the ATA conference in Boston that I will post a summary of my presentation here. You can download the slides with some additional notes by clicking the image on the left. The presentation will also be available through the ATA eConference. 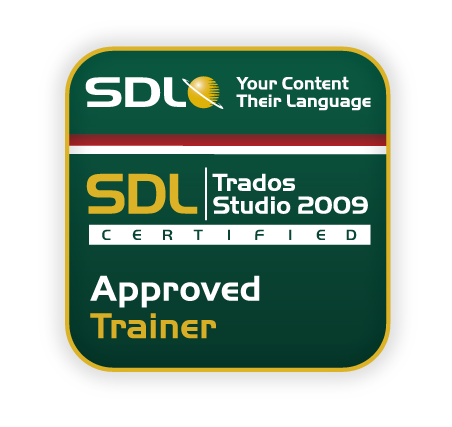 I reviewed various incompatibility scenarios from translator (and LSP) point of view and offered solutions so that Studio-users can utilize the benefits of Studio even if their clients/translators still use Trados 2007. I have covered these methods and scenarios in various articles on this blog during the past year or so. The list below includes links to those articles for more details. In addition, I also talked about how to translate documents in Studio when only parts of a document need to be translated, such as with DéjàVu export tables. That shouldn’t be a problem; TMs, termbases and SDLXLIFF files are fully compatible. Note though that the projects are version-specific. Studio 2009 projects will be upgraded automatically to Studio 2011 projects when opened in Studio 2011, and you can’t open Studio 2011 projects in Studio 2009. Studio 2011 also allows you to save project packages in either in Studio 2009 or 2011 format.